It was a gorgeous afternoon, clear skies and just a little over eighty degrees, on August 7. 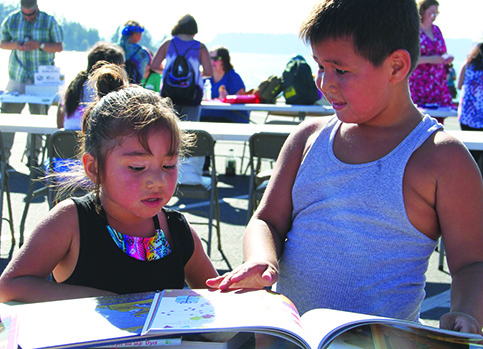 The tide was high and the waters of Tulalip Bay appeared more blue than usual, providing a spectacular view for the Tulalip community as they gathered to celebrate the 35th Annual National Night Out with the Tulalip Police Department (TPD). 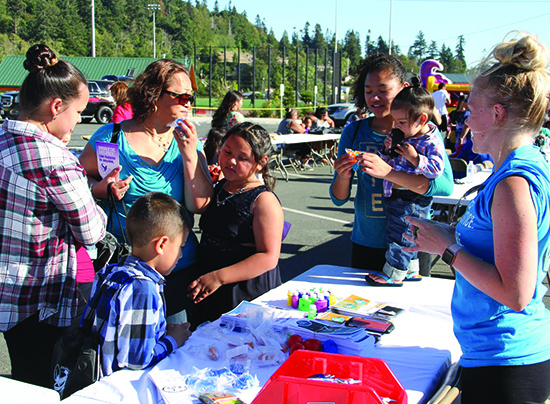 Held in the Tulalip Youth Services parking lot, the event attracted several families of many generations who they came to have a good time and thank local law officials for protecting the community. That summertime barbeque aroma filled the air while officers grilled up hot dogs for their guests. Attendees visited the many stations at the event, learning about services offered at programs like the Tulalip Child Advocacy Center, the Betty J. Taylor Early Learning Academy and the Legacy of Healing. 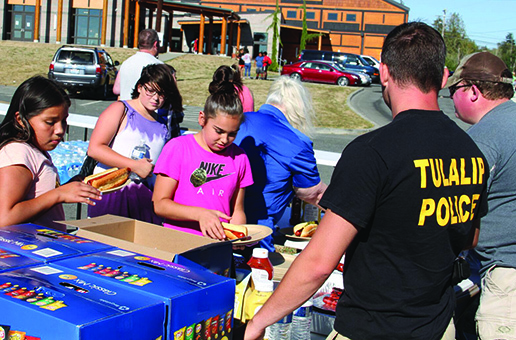 The Tulalip Office of Emergency Management was also in attendance and provided local citizens with safety information, as was the Tulalip Lions Club who donated numerous books to the youth. 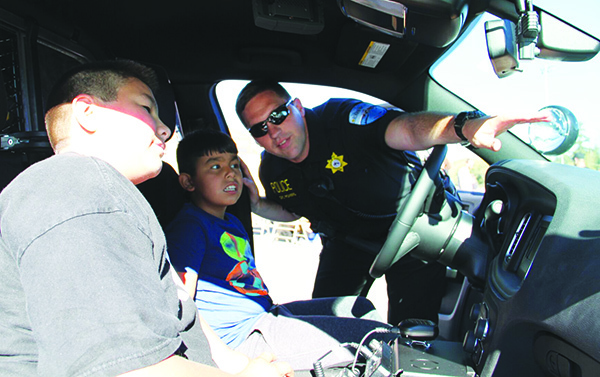 TPD officers gave the youth an up close look at their squad cars, showing them all of the cameras and gadgets they use while on the job. Officers were seen socializing with community members and laughter could be heard from all directions of the parking lot. 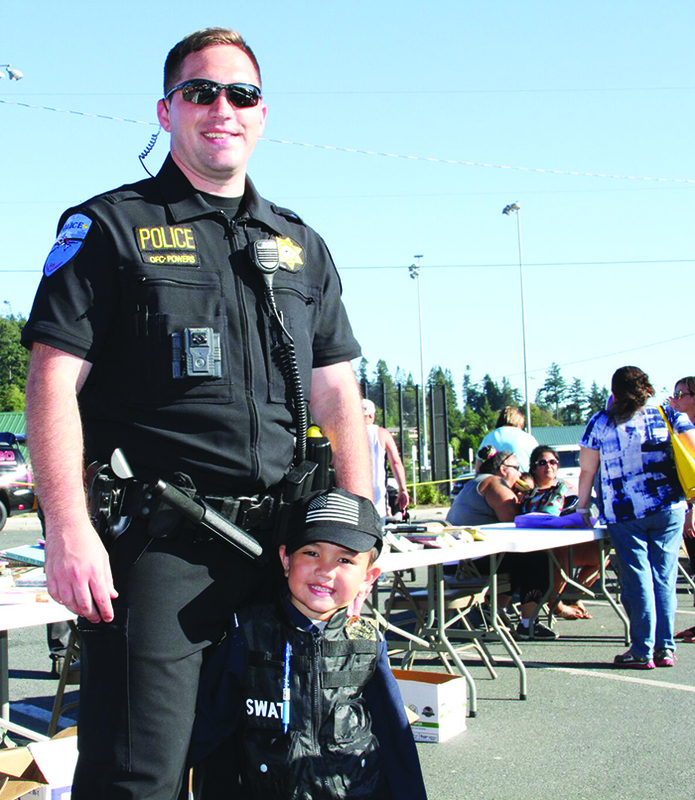 As young Tulalip tribal member Kaiser Moses visited each booth, he took a moment to take in all of the good vibes his fellow community members seemed to be exuding. Another successful National Night Out is in the books for TPD as this year’s event was a smash yet again, strengthening the relationship between the community and the police force that much more. 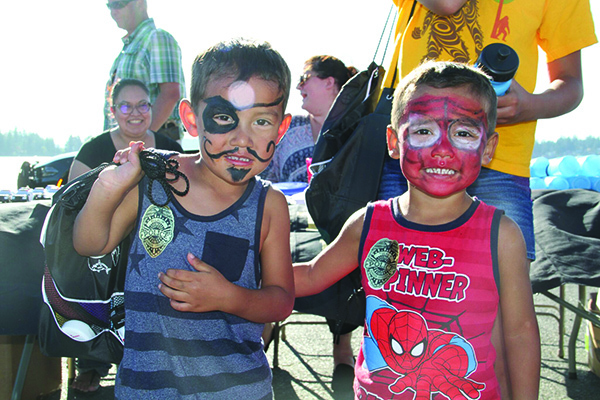 This entry was posted in News, Top Story, Tulalip News and tagged National Night Out, Tulalip, Tulalip Fire Department, Tulalip Police Department, Tulalip Tribes by Kim Kalliber. Bookmark the permalink.